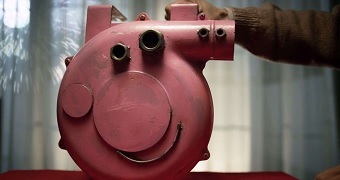 The lack of reference to the Chinese symbol of 2019 disappointed many of CCTV’s more-than 800 million viewers around the world, and came as a surprise after the country recently welcomed Peppa Pig back onto the big screen. 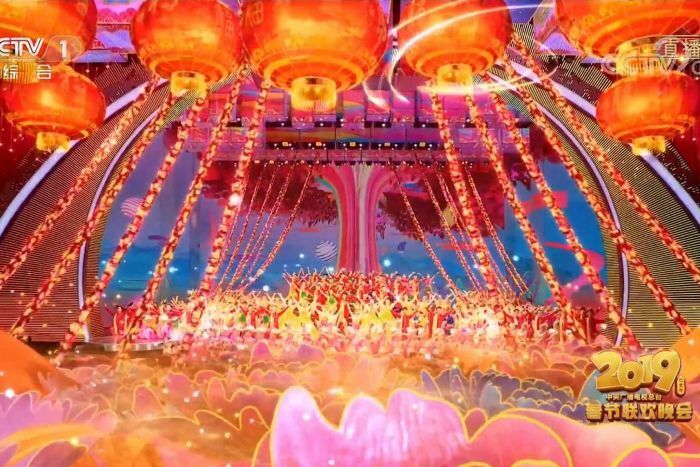 And while there was only one mention of Xi Jinping during the almost four-hour long Spring Festival Gala, the show still managed to sneak in references to the Chinese President. A video promoting the once-blocked cartoon pig has gone viral on Chinese social media, striking at the heart of the country’s social issues. 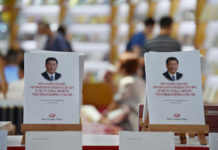 The phrase “new era” — referring to Mr Xi’s latest ideological addition to the party’s constitution “Xi Jinping thought on socialism with Chinese characteristics in the new era” — was repeated 18 times in songs and the presenters’ preamble. After the show, many viewers took to social media to vent their dissatisfaction with the lack of references to the Year of the Pig. But those complaints, too, were then censored with all the posts and comments containing the phrase “no pig in Year of the Pig” on Chinese social media platform Weibo blocked. 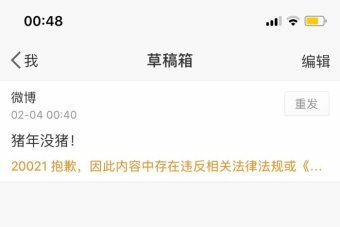 Screenshots posted by Weibo users showed deleted posts and error messages saying that the posts “violated relevant laws or regulations”. Other netizens were able to post about the subject by skirting around key words and phrases. “How can they completely not mentioning pig in the Year of the Pig?” one Weibo user wrote. Some viewers also expressed confusion about why the imagery and references to the years of the dog and rooster were so prominent in the previous years’ galas but there were almost no mentions of pigs this year. The pig is the twelfth and final animal in 12-year zodiac cycle, and is widely seen as an animal representing kindness and good luck. 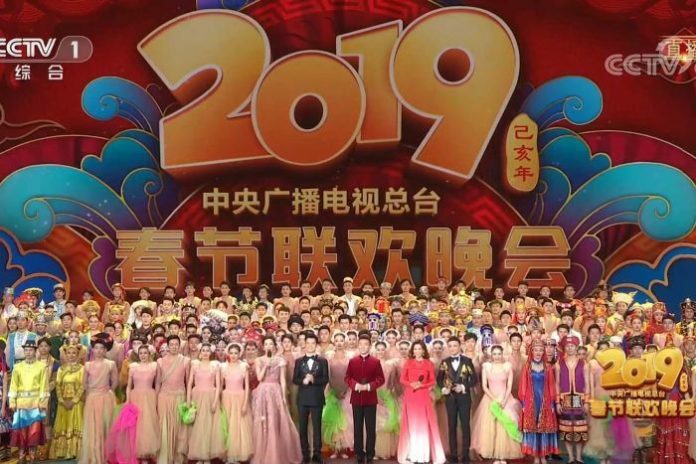 This is not the first time that China’s state-owned broadcaster has censored imagery and mentions of the pig in the New Year’s Gala. The word “pig” was only mentioned twice in the 2007 gala ushering in the Year of the Pig and was also largely censored during the cycle before that in 1995, after protests were triggered by poor-taste jokes related to pigs and the Muslim community published in state media publications in the 1990s. 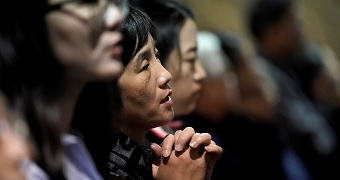 Since then, the CCP has been on high alert about religious movements among minority groups. The former director at the State Ministry of Religious Affairs, Xiaowen Ye, wrote in his book Seven Days’ Talks on Religious Issues confirmed that imagery and words related to pigs were censored during the 1995 gala to maintain China’s social stability. 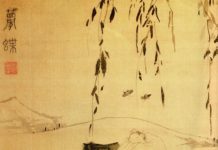 “When I arrived at the final rehearsal [of that year’s gala], I saw over a hundred children dancing with pig-shaped lanterns … I immediately asked the director to stop using all those lanterns,” Mr Ye wrote in his book. While many living in China’s Muslim communities also understand the sensitives around the promotion of pigs during the new year, many are unaware of the mass re-education camps in Xinjiang province, where nearly 1 million Uyghur Muslims and other minorities are allegedly detained. Wang Siqi, a 22-year-old Chinese woman living in the western city of Xi’an — where one of China’s biggest Muslims community is based — watched the gala during her family reunion dinner last night just like tens of millions of families across the country. Satellite imagery lifts the lid on the size and spread of China’s internment camps, used to indoctrinate vast numbers of the Xinjiang region’s Muslim population. Ms Wang, a non-Muslim, told the ABC that while she was disappointed that there were barely any mentions of pigs, she believed the animals were censored with good intentions. “We need to avoid talking about pigs [to respect] the Muslim community, who consider pigs as their heavenly ancestor,” said Ms Wang, who was unaware of the situation in Xinjiang. Biao Teng, a prominent rights lawyer, said the censorship of pigs did not mean the CCP respected the ethnic minorities — considering 1 million Uyghurs and other minorities were being held in detention. Uyghurs Muslims are also reportedly subjected to forced political indoctrination, renunciation of their faith, mistreatment, and, in some cases, torture. 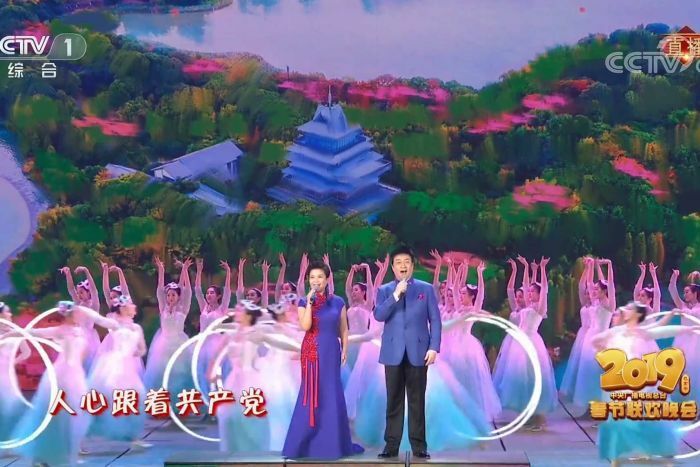 In addition to the state broadcaster’s censorship of pigs, this year’s gala — like many other years — had a political undertone. More than 1,000 people performed in four locations across the country, including the country’s political centre Beijing, Shenzhen, Changchun, and Jinggangshan, where the CCP established its first revolutionary base. Dr Haiqing Yu, an expert in China’s digital media from RMIT University, pointed to the massive phalanx of performers showcasing Chinese Kung Fu and Taichi, as well as popular singers from different generations praising the party in various songs. Banned bibles, burnt crosses, and re-education camps — denomination aside, religion is a dangerous pursuit in Xi Jinping’s China in 2018. 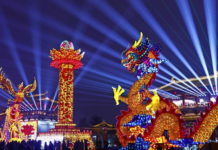 All of this could be seen as part of China’s propaganda campaign propagated by the Spring Festival Gala, Dr Yu told the ABC. She added that “the gala’s political mission was much stronger”, and artists had no more creative space to talk about politics in their work. “It’s not fun anymore, because … the freedom of expression is becoming highly suppressed,” she said. “It is impossible to let people express themselves in public sphere. In 2016, a skit on the New Year’s Gala that was intended to celebrate Chinese-African ties sparked widespread criticism when an Asian actress was seen with a dark face with exaggerated buttocks. Previous articleWill China’s hit period drama ‘Yanxi Palace’ face censorship?